Olympia Medical Center – This center has over 70 years of experience in Los Angeles and houses numerous diagnostic radiologists on site. These professionals help contribute to their award-winning, 24-hour care. The Motion Picture & Television Hospital – This hospital that incorporates an imaging center has its roots in the Motion Picture Relief Fund created in 1921 by such Hollywood heavyweights as Charlie Chaplin and Mary Pickford. The hospital caters to those who have had careers in the entertainment field. Renaissance Imaging Center – This center, a part of Renaissance Imaging Medical Associates, offers radiologists with a wide range of subspecialties including musculoskeletal, neuroradiology, pediatric, breast imaging, cross sectional imaging, and more. West Hills Hospital Medical Center – This center’s diagnostic imaging services include radiography and fluoroscopy, MRI, spiral CT scan, ultrasound, and more. They also provide nuclear medicine and radiotherapy. Diagnostic Radiological Imaging – This Sacramento center provides a wide range of specialties for their patients, including CT, MRI, ultrasound, mammography, X-ray, nuclear medicine, Duel-energy X-ray absorptiometry, and fluoroscopy. Mercy Medical Group – This collective of medical facilities offers everything from neurology to pediatrics to gynecology. Their Mercy Imaging Centers feature board certified professionals who hold fellowships in subspecialties like abdominal imaging, neuroradiology, PET, MRI, and more. Northern California PET Imaging Center – In addition to their Sacramento main office, this imaging center has five additional satellite offices throughout the state. Be sure to check out their news section because they supply a lot of terrific information about developments within the radiology industry. C. Davis Medical Center – This nationally recognized academic medical center provides care in 150 fields, including diagnostic imaging, and has been rated as Sacramento’s top hospital. They’ve also received top honors for nursing excellence. Alvarado Hospital Medical Center – This facility, which has been recognized for patient safety excellence for five consecutive years, offers a wide array of services to patients. Their imaging services include general X-ray, mammography, fluoroscopy, CT, MRI, general and vascular ultrasound, nuclear medicine, and more. San Diego Imaging – This company has four multi-modality imaging centers in the San Diego area and also provides their diagnostic services to eight area hospitals. Services offered include CT and CT angiography, interventional radiology, MRI and MR angiography, PET/CT, ultrasound and more. Imaging Healthcare Specialists – This company has over 30 years of imaging experience and provides services at numerous locations. Be sure to visit their helpful resources page to learn about key radiology issues. California Pacific Medical Center – This center is one of the largest, not-for-profit academic medical centers in the state. Check out their classes and events page for some great opportunities in the area. RadNet Medical Imaging – This company is part of the greater RadNet Northern California group. Imaging services they provide include CT, X-ray, MRI, and DEXA. Saint Francis Memorial Hospital – This hospital provides a range of services to their patients, including vital diagnostic imaging services. Their certified radiologic technologists are available 24/7. Zuckerberg San Francisco General Hospital and Trauma Center – Part of the San Francisco Health Network, this hospital provides everything from dentistry to imaging to trauma care. Their mission is to supply quality, world-class care regardless of a patient’s monetary status. 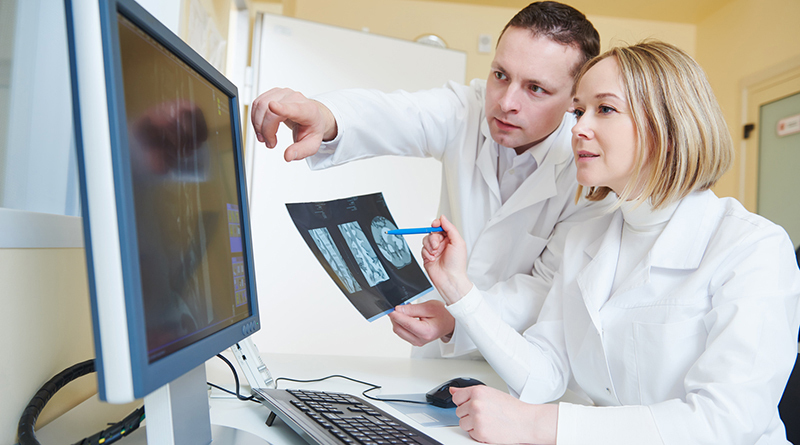 If you’re part of an imaging center and are interested in outsourcing your imaging interpretations or radiology interpretations, be sure to reach out to Specialty Teleradiology. We’d be happy to talk to you about our Subspecialty expertise and the professional service we provide. We look forward to working with you!